Yesterday, wifey decided that it was time for another family craft day. I get out of work at noon on Fridays, so she picked me up and we headed to Michael’s. It seems the whole store is on sale! 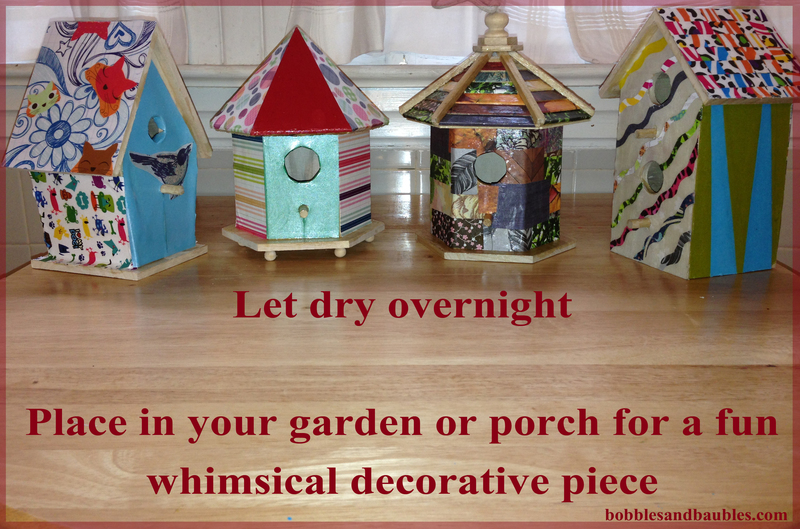 We got these great birdhouses for $4 each and the scrapbook paper was 12 cents a piece.. great deal! We went home, set everything up and headed off to pick up our girls from school. We got started as soon as we got home. It was great fun. My wife and I finished ours in about an hour or so, the kids took a little longer. We can’t wait to get our garden Spring ready so that we can place them. Instead of leaving the edges plain, paint them! Lol. Why? Because you made then?